I love a really good strong bit of colour on the walls and think you shouldn’t be afraid to experiment and try out something new, so when Dulux asked me to review their new Spring shade Fire Cracker 4 I was raring to give it a try. Dulux are predicting that this lively blushing red shade will be big news this Spring/Summer uplifting our spirits and giving us just that little burst of drama that is easy to live with. So we’ve put it through its paces and given it a personal review here on the blog. My trusty testers (my parents in this case) were happy to revamp and give their conservatory a makeover. 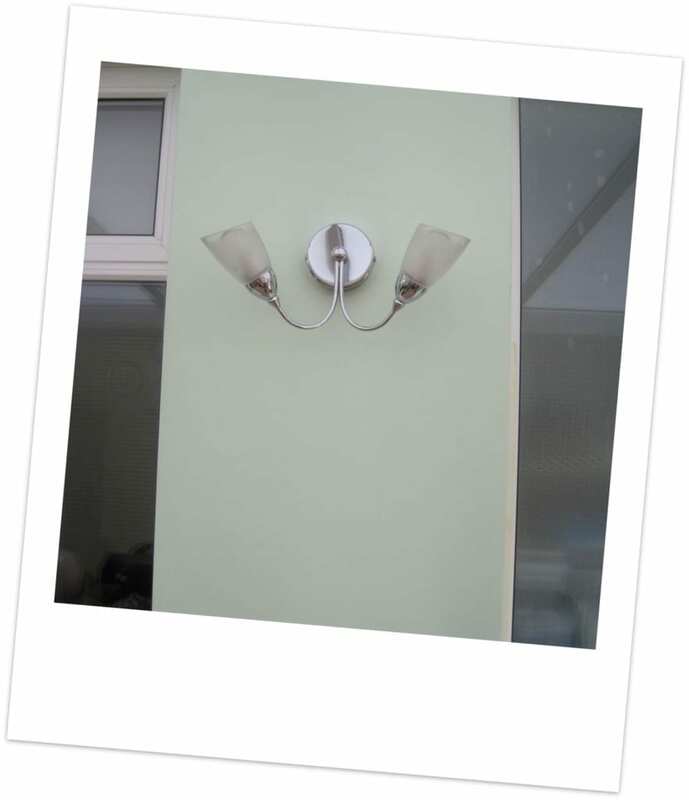 It had been painted a few years ago in a pale green and initially they were sceptical about changing the colour for something so bold. Doesn’t it look fabulous! My parents are thrilled and it has totally transformed the room. It did look good before but now it is brighter, warmer and much more inviting. 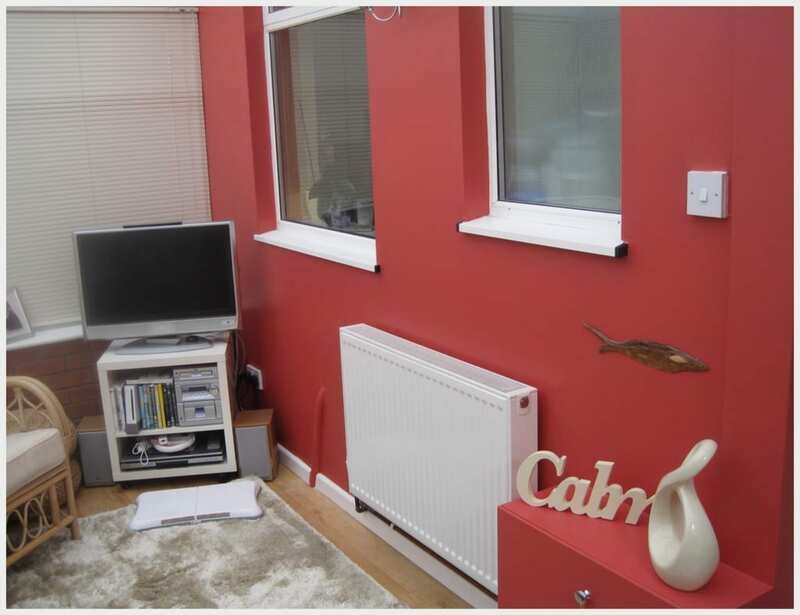 Admittedly the room is very light with lots of windows, but it isn’t large and the colour doesn’t fill the space making the room feel small, the opposite really. Friends have raved about it too so if you’re feeling like a change we would highly recommend this one. The paint itself was extremely easy to use, went on the walls beautifully with no drips and little odour. In fact, the whole makeover was complete in a matter of hours. We’ve teamed it here with some cream accessories in keeping with the warm tones in the paint. 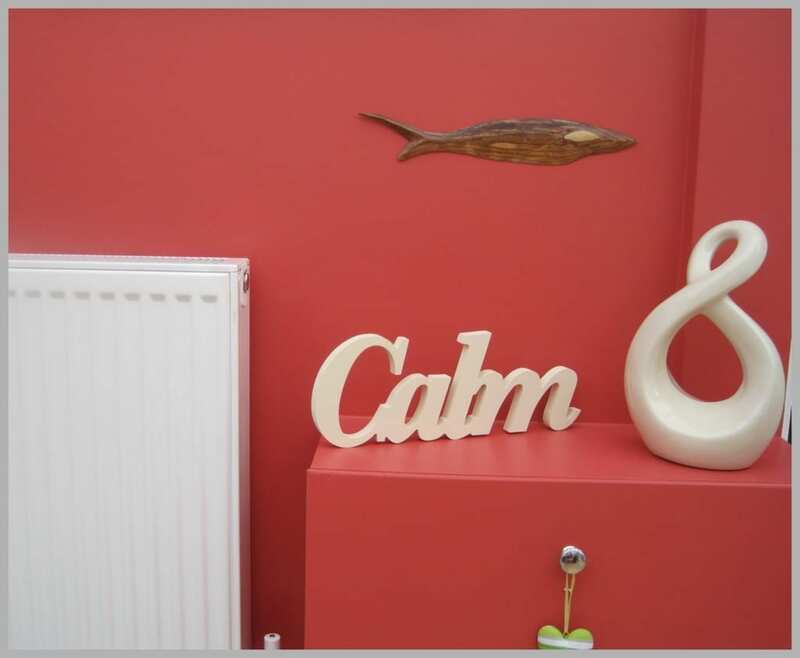 If you’re thinking of a whole room makeover why not try it out with a pale Caramel shade on the other walls and use Fire Cracker 4 as your feature. 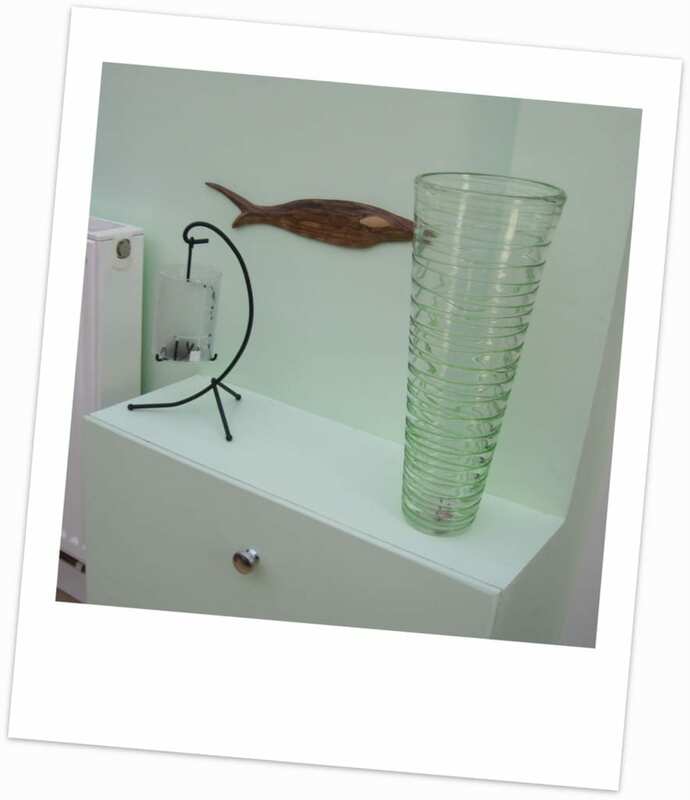 So well done Dulux we say on a vibrant, invigorating shade that will certainly be the talk of Spring. Fire Cracker 4 is available through Dulux Tailor Made Colour, the in store mixing service used in B&Q, Homebase and other selected independent stores. A 2.5litre tin costs around £20-£25. You can try the colour before you buy and order a sample from www.dulux.co.uk for just £1 plus delivery. The samples are just the right size to fit through your door. Do let me know if you decide to give it a go. Thank you to Dulux for sending the paint free of charge for us to review. Thanks Emma, it really does look good doesn’t it. My Dad wasn’t too keen to begin with but now he really loves it! Thanks Susanne, glad you like it. I love it with the cream accents too, it brings out the warm tones in the paint I think. Wow, great makeover…I love that colour! Thank you, it’s a great colour isn’t it. Spot on for this time of year I think. Oh I love it, really gorgeous warm colour! have enjoyed browsing your blog. this is a wonderful shade of red and looks fab with those accessories. I am biased as my kitchen/dining room is a similar shade of red. Someone told me red creates conversation – which was my original thinking behind the colour. My kitchen is also light filled and it really does brighten your day the contrast of red and sunshine. Am sure your parents will love it more and more. It’s a great colour isn’t it. I’ve yet to see it ‘in the flesh’ but they are so pleased with it. I think it will be very easy to live with even though it’s quite strong.